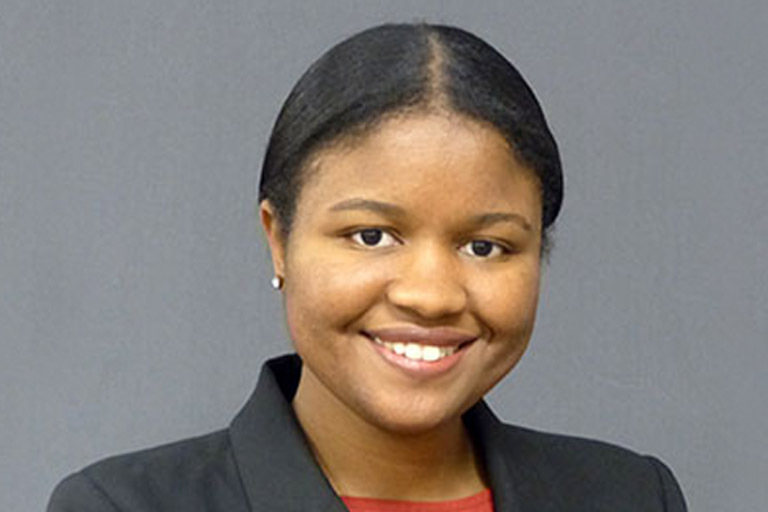 Marlyatou Sow’s passion for public health began with a strawberry allergy. A senior at Indiana University Bloomington from Indianapolis, IN, Sow remembers talking about her allergy with her grandmother when she was a child. In Guinea, where Sow and her family are originally from, information about basic public health issues is extremely limited--a fact that has too often proven tragic. Ever since, Sow has been committed to dedicating her life to advancing medical knowledge and promoting public health in communities that need it most. As a senior studying international studies and global and public health, she has used her time at IU to get involved with the community, study on four different continents and prepare herself for a career in global or public health. Throughout, Sow’s remarkable dedication has positioned her for a future of success--a fact recognized by her designation as the recipient of the Carrie Parker Taylor Scholarship. A scholarship within the Office of the Vice President for Diversity, Equity, and Multicultural Affairs (OVPDEMA), the Carrie Parker Taylor Scholarship honors the legacy of Taylor, the first African American woman to attend Indiana University. Each year, the scholarship, which was established through the gift of Vice President of Diversity and Inclusion James Wimbush, is given to a high-achieving sophomore, junior, or senior who has participated in an OVPDEMA program throughout their college experience. As the sixth recipient of the scholarship, Sow is the latest student whose efforts have been recognized as reflective of Taylor’s legacy. Reflecting on the experiences that have led her to this point, Sow identified her study abroad experiences, including a Critical Language Scholarship to India, an OVPDEMA-organized trip to Ghana, and an experience shadowing doctors in Spain as foundational to her success. These experiences, she said, have helped her create an IU experience that has allowed her to learn in cross-cultural settings that defy stereotypes and promote deeper understanding. “Through my experiences at IU, I’ve been able to take a multidimensional approach to learning, not just being satisfied with the easy answers,” Sow said. Sow noted that she could not have embarked on such an ambitious path alone. In addition to help from her family and community, she identified the support given to her by OVPDEMA staff and her Hudson & Holland Scholars Program advisor as critical to her success. As she looked to her post-college future of either becoming a doctor or working in global public health, Sow also hoped to pay this supportive environment forward to share the benefits of her experience with those she serves.